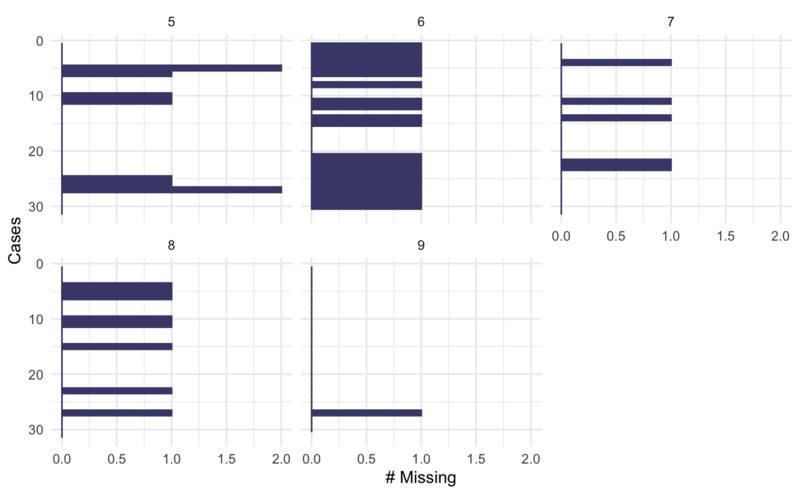 This is a visual analogue to miss_case_summary. 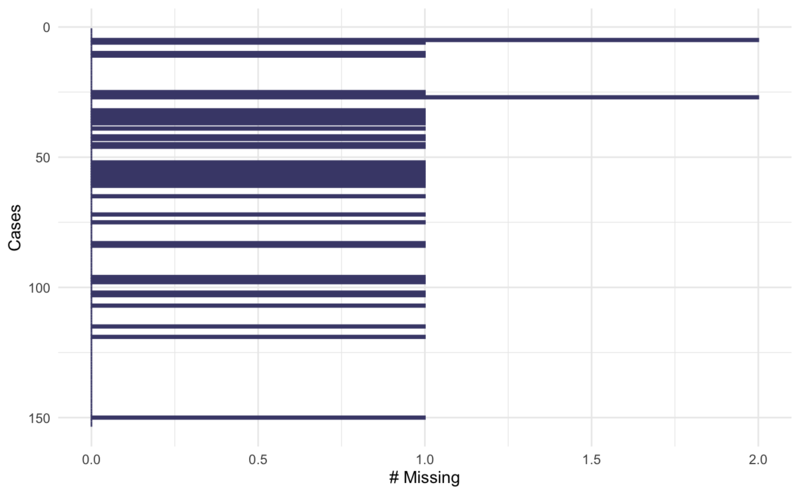 It draws a ggplot of the number of missings in each case (row). 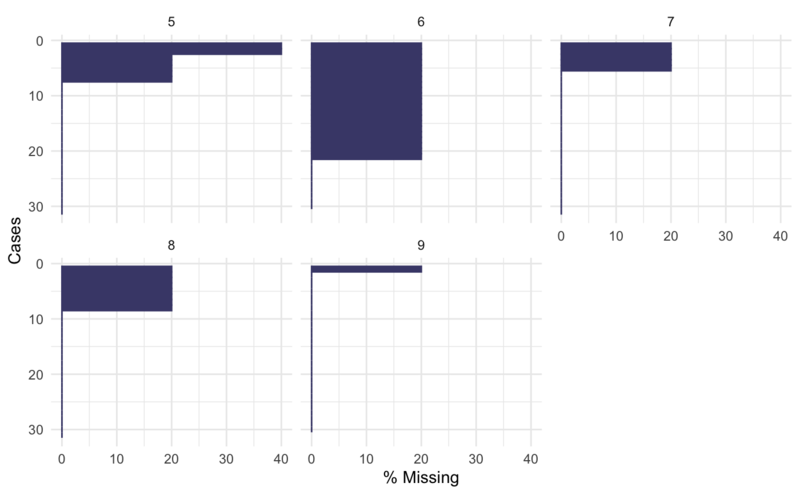 A default minimal theme is used, which can be customised as normal for ggplot. 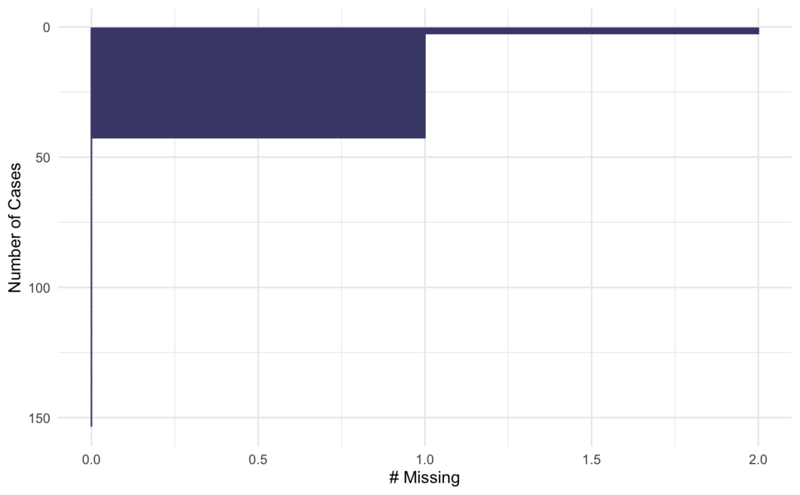 (optional) a single bare variable name, if you want to create a faceted plot. logical Order the rows by missingness (default is FALSE - no order). a ggplot object depicting the number of missings in a given case.